I′ve found a true gambling paradise for slots lovers. It′s a site where you can read about online casinos with decent slot variety. 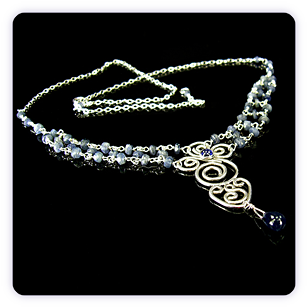 Sterling Silver filigree necklace with Blue Sapphire and handmade beaded lattice. $465. 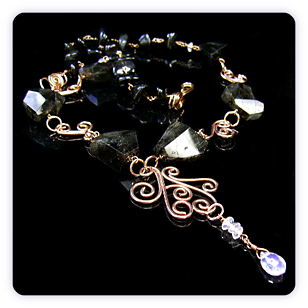 Phosphor Bronze filigree necklace with Black Moonstone nuggets & Rainbow Moonstone accents. $425. 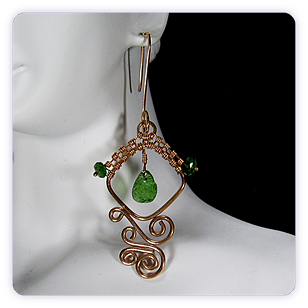 Phosphor Bronze woven/filigree earrings with rough cut Chrome Diopside. $185. To view a selection of the newest additions to Echo Moon Jewelry, check out the Gallery.